DAMASCUS -- An alleged chemical attack in rebel-held Douma, Syria, near the capital Damascus has sparked international outrage and calls for a strong response against those found responsible. The rebel holdout of Douma in Eastern Ghouta was pounded Friday and Saturday (April 6-7) by renewed air strikes that killed at least 80 people, with first responders accusing forces loyal to Russia-backed Syrian President Bashar al-Assad of using poisonous chlorine gas. Damascus and Moscow have denied the reports, calling them "fabrications". The chemical attack took place late on April 7 and used "poisonous chlorine gas", said Syria's White Helmets, civil defence volunteers who act as first responders in rebel-held areas of Syria. "More than 500 [patients] -- the majority of whom are women and children -- were brought to local medical centres with symptoms indicative of exposure to a chemical agent," according to a joint statement issued by the Syrian American Medical Society and the White Helmets. Patients showed signs of "respiratory distress, central cyanosis, excessive oral foaming, corneal burns and the emission of chlorine-like odour", it said. Footage posted online by the White Helmets showed victims with yellowed skin crumpled on the ground and foaming at the mouth. 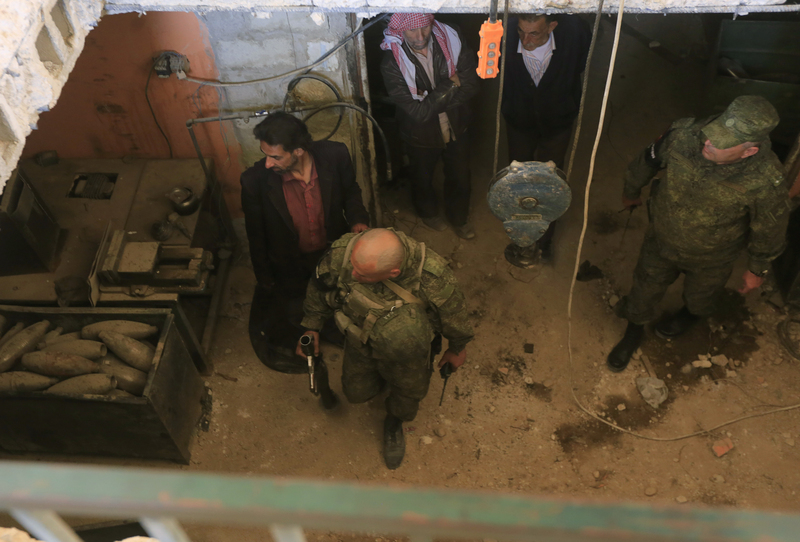 Since February 18, Syrian and Russian forces have waged a fierce onslaught on Douma, the last remaining opposition-held town in Eastern Ghouta, once the rebels' main bastion outside Damascus. Russia was supposed to guarantee the disposal of Syria's stockpile of chemical weapons in September 2013, but al-Assad's regime is suspected of conducting repeated gas attacks since then. 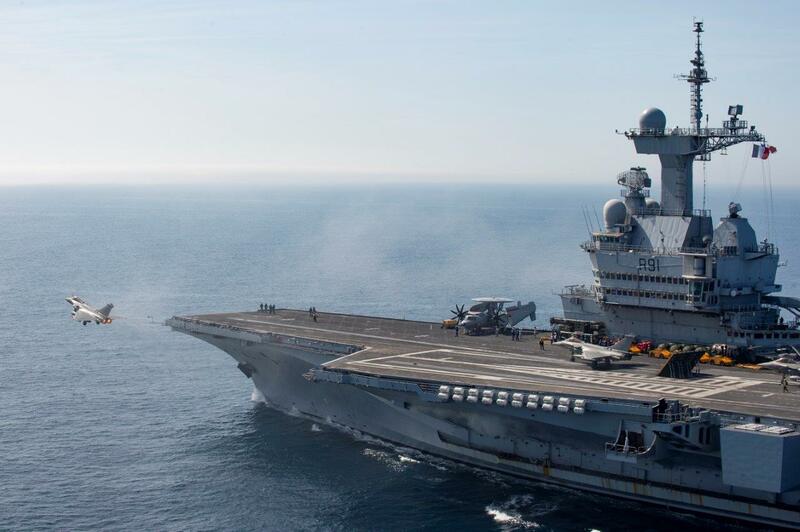 France, which has repeatedly said evidence of chemical use in Syria could prompt military action, called for an urgent UN Security Council meeting on Monday (April 9). The request was signed by eight other UN Security Council members including the United States and Britain, while Russia asked for a separate UN Security Council meeting to discuss global threats to peace. "The use of chemical weapons is a war crime," said French Foreign Minister Jean-Yves Le Drian. British Foreign Secretary Boris Johnson Monday called for a "strong and robust international response". "If confirmed, this is yet another example of the Assad regime's brutality and brazen disregard for its own people and for its legal obligation not to use these weapons," British Prime Minister Theresa May Monday said in Copenhagen following talks with Danish Prime Minister Lars Lokke Rasmussen. "If they're found to be responsible, the regime and its backers, including Russia, must be held to account," she said. US President Donald Trump and French President Emmanuel Macron earlier called for a "strong, joint response" to the suspected atrocity. The two leaders shared information "confirming" the use of chemical weapons and will co-ordinate their efforts during Monday's UN Security Council meeting in New York, according to a statement from the Élysée Palace. Trump warned of a "big price to pay" for what he called a "mindless chemical attack". China denounced the use of chemical weapons "by any country ... under any circumstances", Chinese Foreign Ministry spokesman Geng Shuang told reporters Monday. In a phone call to Russian President Vladimir Putin Monday, Turkish President Recep Tayyip Erdogan expressed concerns over the attack. The Turkish Foreign Ministry at the weekend said there was a "strong suspicion" that al-Assad's regime bore responsibility. Saudi Arabia, Qatar, Bahrain and Kuwait condemned the suspected atrocity in separate statements released Sunday (April 8). "The impunity of war criminals in Syria has led to further atrocities and undermined efforts to achieve justice for the victims," Qatar's Foreign Ministry said. An official at Kuwait's Foreign Ministry called for "rapid action by the international community". Organisation for the Prohibition of Chemical Weapons (OPCW) specialists are investigating the recent reports out of Douma, OPCW Director General Ahmet Uzumcu said Monday, expressing "grave concern" about the situation. Their findings will be reported to the 192 nations that have signed the Chemical Weapons Convention, including Syria, which finally joined the convention in 2013 after admitting to having a toxic arms stockpile. The OPCW destroyed all of the country's declared toxic stockpiles, but Uzumcu has repeatedly said there are gaps in the declaration by the Syrian regime. Amid "persistent allegations" of chemical weapons' use in Syria, the OPCW set up its own independent fact-finding mission in 2014. It has investigated more than 70 cases of alleged toxic gas use in Syria since 2014. In 2015, the OPCW joined with the United Nations to form a joint investigative panel tasked with identifying those behind the chemical attacks in Syria. In October, the panel released a damning report that found that the Syrian air force had dropped sarin on the rebel-held village of Khan Sheikhun in April 2017, killing scores of people. Another recent OPCW report concluded that sarin was used March 30 in the village of Latamneh. 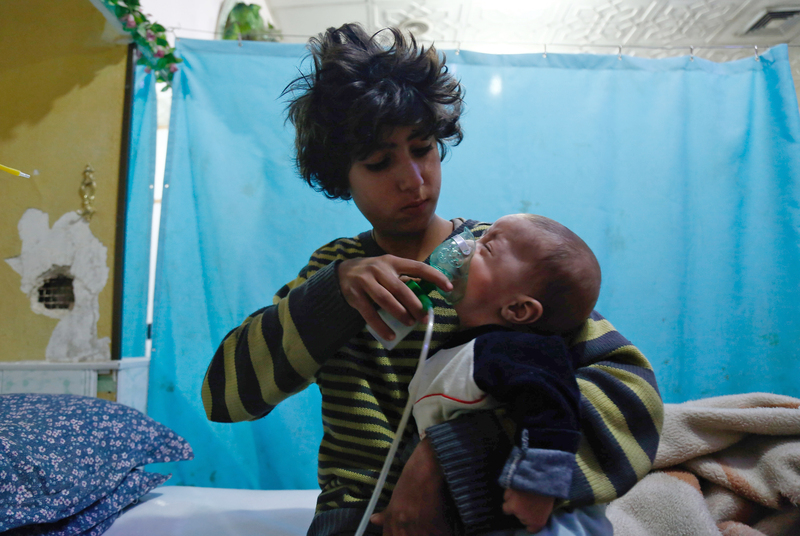 The Syrian regime has been blamed for using chlorine gas on three villages in 2014 and 2015. On Monday, Russian Foreign Minister Sergei Lavrov said that Russian specialists found no trace of a chemical attack on Douma. But Russia has a history of downplaying events against Putin's interests and spreading lies when it benefits the Kremlin. For example, Russia's Defence Ministry last December 7 announced its mission to oust Islamic State (IS) from Syria had been "accomplished" and that the country was now "completely liberated" from the group. Same thing again: “It is Russia‘s fault, Putin is a savage!”. Centralasianews must jusitfy its name, doesn't it? In the time when blaming Russia and Putin without any investigation, proof is at its highest point, in order to seem better and better to their principals site is also ready to state that black is white and vice versa, if it is needed they will also dance to their principals tune! BRAVO FAKE NEWS, BRAVO!!! The info here is as true as your Channel One with its propaganda about huge Putin's balls and meeting with Trump. Does the very fact Russia was willing to go through fire and water for the Asad regime mean anything to you? The Kremlin cited 'security concerns' for the continued delay, despite the fact the Syrian government organised a tour of the town where the attack took place for the foreign press.